1) CENSORSHIP. During both wartime periods censorship was in force. What cards were allowed to be produced were therefore produced in large numbers and often used images also available on other media. Units and locations were never identified. 2) PREDICTABILITY. There is therefore little scope to find the unexpected or to relate to other fields of interest like an aircraft type, squadron or airfield. 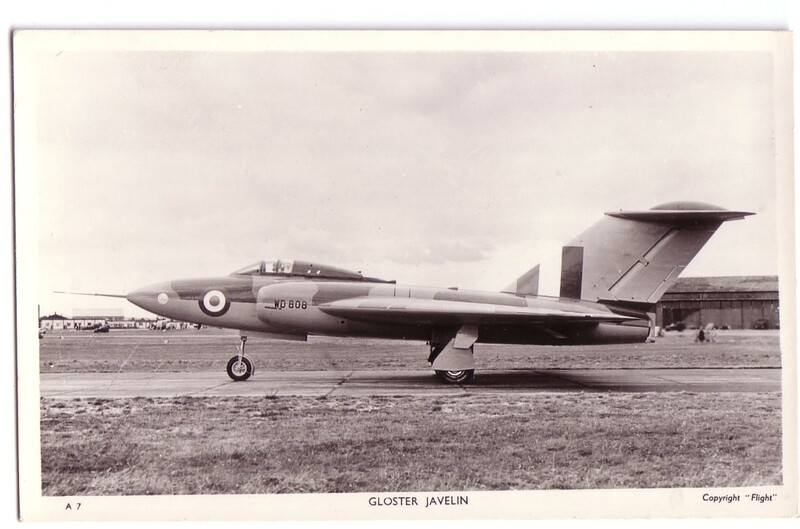 To find rare and unique images with these connections the collector is drawn to private photographs taken by serving personnel. These provide the personal connection lacking from the mass produced postcards, which also were rarely used for correspondence. 3) IMAGE QUALITY. Again compromised by censorship. This is less true of German and Italian output and, indeed, judging by Ebay there seems to be a demand for Italian artist drawn propaganda of the fascist and WW2 era. US cards of the periods are usually of the linen type which seem to less favoured in most subjects. These factors apply less in the post WW2 era, the period covered by the new Cold War museum at Cosford. 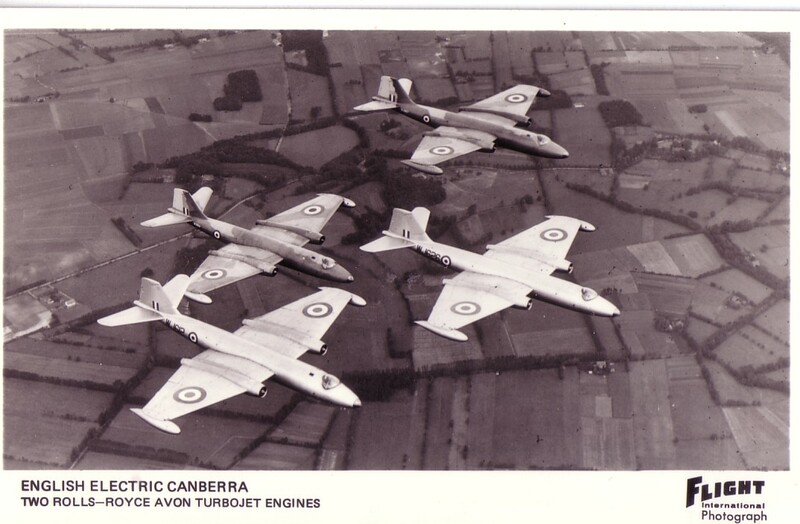 In the UK this is the period of the V Bombers, Hunter, Lightning and other types which seem to have a cult following that has not converted into demand for postcards. Real photo image quality is often high but an element of predictability remains. So that is my reasoning on why military cards moulder in dealers stocks – unless anyone out there has some other thoughts ? 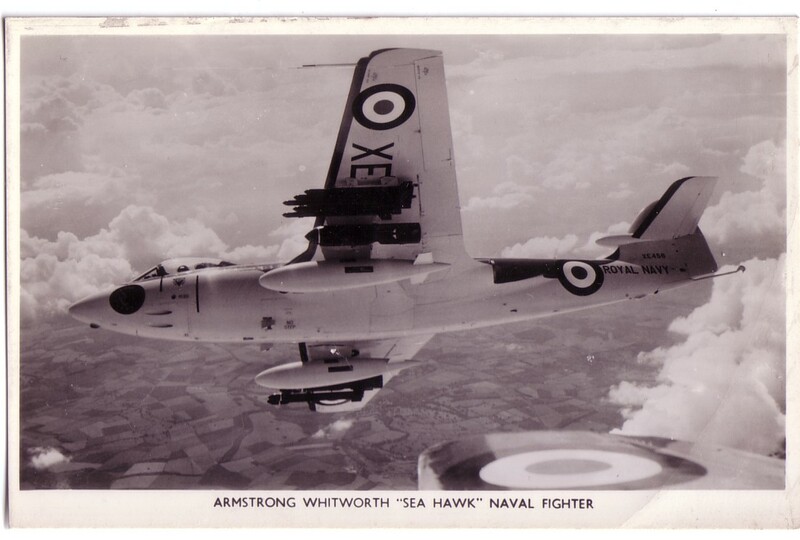 1950s Photographic Military Aviation cards from Tuck (Gloster Javalin at Farnborough) and an Armstrong Whitworth company issue of a Seahawk, which they had taken over production of from Hawker.